At APC, the importance of a practical, culture-based educational system has always been self-evident. Embracing our values and the journey that has brought us to the present allows us to look forward and move with purpose towards the world we want for ourselves and for future generations. A strong relationship with the natural world around us and recognizing its irreplaceable role in our lives make us appreciate it and work hard to protect and sustain it. These are values which have for a long time been lacking in Philippine mainstream education. However, the face of education is beginning to change. The national introduction of the K+12 system is attempting to bring these values to the forefront of all educational systems. By focusing less on teaching the same facts and lists to every child in the country, the K+12 system looks to make the curriculum relevant to a community’s needs, focusing on mother tongue-based multilingual education, the importance of indigenous knowledge, and preparing students for the future by delivering in-depth knowledge, skills, and attitudes and encouraging discussion on the important issues of the day, such as Disaster Risk Reduction, Climate Change Adaptation and Information Technology. Recently, at a conference on Indigenous Education, Education Secretary Armin Luistro discussed his educational upbringing and how the prejudices ingrained in him as a child impacted on his life and his views on education moving forward. “We are an educational system that has been a product—sometimes unwittingly—of a Western understanding of what we should know…. I was taught that [Cordillerans] were uneducated. That was ingrained in my memory for some reason or another. I don’t think it was in the textbook, but maybe that was the stereotype passed on to me,” Luistro said. 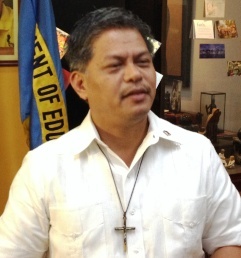 “I come from an educational system that made me memorize from my grade school years the fact that the Philippines was discovered by [Ferdinand] Magellan on March 16, 1521 … and that Lapu-lapu is a nice fish,” Luistro said, adding that this was one of the many lessons that fostered prejudice. “This is what education does. It teaches us a perspective. It teaches us how to think. But if we are not critical, education miseducates rather than brings us to another level of understanding, knowledge and wisdom,” he said. “It is our hope and dream that our elders will be part of the education system. There is indigenous wisdom that will have to be transmitted [by elders] to students in our schools,” he said. By embracing their culture and their history and by learning from those who understand the land best, students can leave the educational system as more rounded individuals, with a greater understanding of where they come from, where they are going and the people and the world around them. Without these core values, a person’s sense of identity can get lost, especially in the fast-paced modern world. Remembering these values not only reminds us of our own place in the world, but of the close links that all people share with each other and with nature.